Name of college, city, passing out year National Law University, Delhi. Graduated in June 2017. Extracurriculars: Winner of National Legislative Drafting Competition 2014; Represented my university at the Warsaw Negotiation Round 2015 held in Warsaw, Poland. Hello everyone. I am Saumya Sharma. I was born and brought up in Delhi. I am a lawyer by profession, having graduated from National Law University, Delhi in 2017. My parents are doctors. My sense of hearing deteriorated steeply when I was 16 years old, and I have been using hearing aids since then. My first brush with competitive exams was when I appeared for the law entrance exams CLAT and AILET in 2012. Later, while pursuing law I decided to write the civil service examination. My motivation to write the examination was due to the unique platform provided by the civil services to serve the country in a meaningful way. Since I did not join any coaching, I referred to online material quite generously. Chalk your own selective strategy once you know what all sources can be used. Make sure to refer to only trusted sources. Also, one must ensure that time is not being spent in covering the same topic from multiple online sources. Books and newspapers are important in their own right, so proper time should be given to traditional sources as well. Regarding newspapers, I used to read The Hindu before prelims, and post prelims I was reading The Indian Express in addition to The Hindu. I had deleted all social media apps, including whatsapp, from my phone while I was preparing for the examination to minimize all distractions. I made hand written notes for a large part of the syllabus. I relied on my own notes extensively, and revised them atleast 4-5 times. I used to read primary sources such as reports etc. and would condense them to make notes that were quick to revise. I also made handwritten notes of newspaper editorials and articles, and these were extremely helpful for answering GS papers. However, for books such as Laxmikant and Spectrum, I did not make my own notes but instead referred directly to the text. 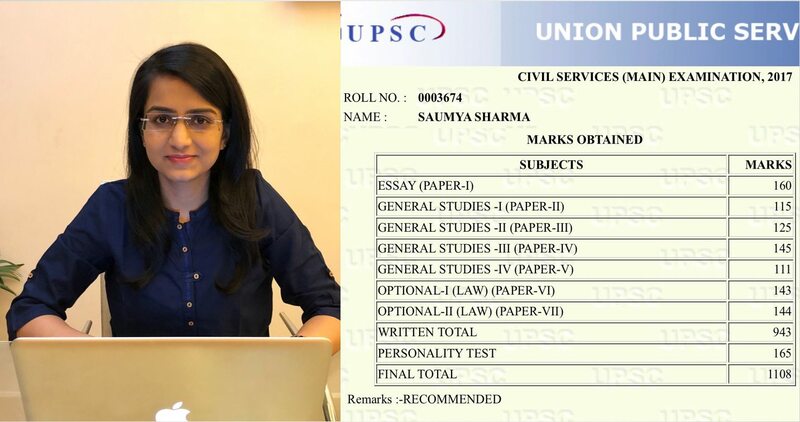 I believe that it is a step in the positive direction if UPSC is testing candidates on their deeper understanding of subjects. Rote learning done for prelims has no use in mains, so it is good if the prelims paper asks analytical questions. This will ensure candidates do serious preparation for all stages of the examination. I would probably start preparing earlier, as I started my formal UPSC preparation only on 19 February 2017. Due to this reason, I had to spend extremely long hours studying under a lot of stress. I would suggest everyone to not take any paper lightly, including CSAT. Take out some time to practice questions where you feel there is scope to improve. Try solving past year CSAT papers to manage time better. Yes, I joined online test series by Insights. I also practiced some of the Vision IAS preliminary mock tests. I think they are important for success, as one is able to practice attempting the examination in a controlled environment. If you have had an English medium education, do take out some time to practice writing your regional language in a formal manner. I wrote on agriculture and women. The points that I wrote in my essays covered the issues extensively. I also referred to the current dimensions of the topic to demonstrate my full understanding of the issues. factors for industrial location Mrunal.org’s articles- they are top notch. Thanks Mrunal sir! Another thing- do try to cover all the topics mentioned in the syllabus. If covered well, you can certainly enhance your GS score. I was able to attempt all questions. However, if someone does not know anything at all about a particular question then it is best to leave it. Writing a namesake answer may leave a negative impression on the examiner about your preparation. The space was sufficient for GS but I would have liked more space to write my essays. I was short on space in the essay I wrote on women and had to end it hastily. My answers were a combination of bullets and paragraphs, depending on the kind of question I was answering. Bullet points make the answer clearer. However small paragraphs should be inserted in between the bullets to make the answer read with a flow. Yes, I followed the introduction-body-conclusion format for all my answers. The format not only helps your answers look better but also helps you think in a comprehensive manner. Q. I don’t like asking following rudimentary questions, but these are the most frequently asked questions by new aspirants. Q6. Did you draw any diagram in any paper? (e.g. in GS1 Geography) None at all. My optional subject was law. 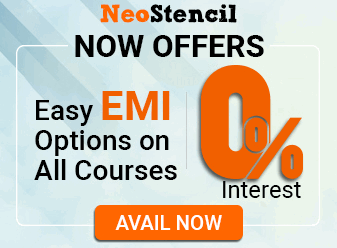 Choosing it was a natural choice as I had spent 5 years studying law sincerely at National Law University, Delhi. Law is an interesting optional subject, and studying law definitely helps with GS2 preparation. Books are very essential to cover the basics of the subject. Internet research too is required for some topics such as contemporary legal developments, the recent judgments that are delivered etc. Since I had spent my graduation covering this subject in detail, I already had my comprehensive notes for bulky subjects such as Constitutional law and Criminal Law. So I was able to finish my optional subject in about 2 months after prelims, alongside my GS preparation. I started answer writing practice about 6 weeks after the prelims paper by joining GS test series. Yes, I made my own handwritten short notes for revision. These included judgment names, section numbers and other important points. I started by preparing every aspect of my DAF properly. In addition to The Indian Express and The Hindu which I was reading for mains preparation, I started reading The Times of India and Economic Times to cover all sort of news for the interview. Yes, I attended 5 mock interviews. Only one of them at KSG was similar to the actual UPSC interview. I think one should attend mock interviews as it reveals our flaws and gives us an opportunity to work on them. I belong to Delhi so this was not an issue for me. I wore a light green khadi silk saree. My reason was that civil services would provide me with the legitimate platform to bring about change in our society. A career in a law firm would have kept me restricted to the issues faced by my immediate clients, and would not have allowed me to work at a larger scale for the society. They asked me questions from my DAF and from current affairs. I was also asked a rapid fire round on criminal law, which I knew the answers to. I was asked of my opinion on Trump, on demonetization. I was also asked questions on net neutrality, on equalization levy and on wilful defaulters. One of the members asked me questions on environment law, and on the constitutional and legislative framework regarding water. I was able to answer these questions well. I particularly enjoyed answering the question asked from my hobby of map reading. I was asked by the Chairman- “If I travel from Delhi to Sudan via road, what all countries will I cross?’ I was able to provide him with the entire list of countries that will be crossed. Overall, my entire interview was quite pleasant. My confidence level too remained adequate throughout. There were certain questions that I could not hear properly, so I asked them to repeat it for me and they kindly did. It was an honour to sit at the round table with the esteemed board members and answer their questions. Yes, my interview was on expected lines. There was some initial nervousness, but all that went away when the chairman began the interview. Don’t forget to bring your ID card with you. There was no backup plan, as I had rejected three job offers to prepare for UPSC. My only plan was to put in all my effort to sincerely prepare for UPSC and hope that I get selected. Yes, optional should be removed and instead papers that have a direct relation with the services should be introduced. The syllabus can be covered well within time if one is smart about his/her preparation. Yes, it should be disclosed at the earliest. Each one of us faces some or the other insecurity. Do not let your insecurities overpower you. Instead, focus on your strengths and the qualities you possess. I used to keep the goal in my mind. I used to remind myself of how the daily mood swings and distractions would not matter in the larger scheme of things. Any time I would feel low (which I did multiple times, as I started preparing in my final semester when most of my batchmates were enjoying the last months in college), I would remind myself of what lies ahead if I am able to clear this exam successfully. I have learned that focused and dedicated hardwork does not go unrewarded. I have also learned that a lot of factors are out of our control, and it is best to face the worst of times with optimism than to give up in the face of hardship. My mains experience of writing the exams with a 102 degree fever, with a canula inserted in my left hand and getting IV drip injected thrice a day, taught me humility. My experience made me realize that despite the best of our planning, our efforts may not go the way we want them to. And in these circumstances, it is best that we put our best foot forward and face whatever life is throwing our way. The worst of circumstances are testing times that have the potential to reveal our inner strength and dedication towards our goal. Do not give up. Let nothing stop you from realizing your goal. Be true to yourself, and be honest with your preparation. Remember this famous quote: if winter comes, can spring be far behind? My mother and father were my biggest supporters. They not only have supported all my decisions (such as taking medical stream subjects in school and then deciding to not give medical entrance but to pursue law instead; of my decision to reject my high paying job offers and start preparing for UPSC), but they also helped me as mentors during my preparation. My family and my close friend placed a lot of belief in me. Because they believed in me, it became easier for me to believe in myself. It was possible for me to crack this exam in a comparatively short period of time with the necessary support and stability provided to me by the closest people in my life. Yes, mrunal.org was a very valuable resource for me throughout my preparation. The initial videos that I watched on economy helped me form a very strong base which continues to help me even now whenever I read economy related editorials in the newspaper. The articles posted on GS3 topics before mains also helped me a lot while answering the mains exams. Thank you Mrunal sir for your wonderful initiative. I am sure there are many more selected candidates who share the same sentiment with me! UPSC is not providing any special privilege to Rich and IITians .It has provided level playing field to all. UPSC should encourage quality no matter from where it comes from .People like you are suffering from ”bechara”syndrome, who believe that everything in India should be given to you as a freebee. Doctors , IITians ,NITians and those from other elite colleges are cracking this exam by their hard work and intelligence .They deserve to be ”in” there , no matter even if they are super rich. Inspirational and highly motivating. Congratulations. You are strong and determined . I am inspired by you . Thts really great feeling after seeing n read whole ansr n blog tht I mentioning, I’m gratitude of yrs sir n ofcourse will recommend yr website for my upcoming civil exams. I went through the whole interview of miss saumya Sharma. Her preparation journey through out was very simple and motivating for a beginner to start with. It surely depicts the insider of exam that what it takes to make use of easily available resources for preparation and not like going for extra things. Thanks Misss Saumya and Mrunal sir for this.